Only 15 mushers are left from the original 26 who started the 2018 Yukon Quest. Despite the changes in the field of mushers, the top five standings have not changed much at all. 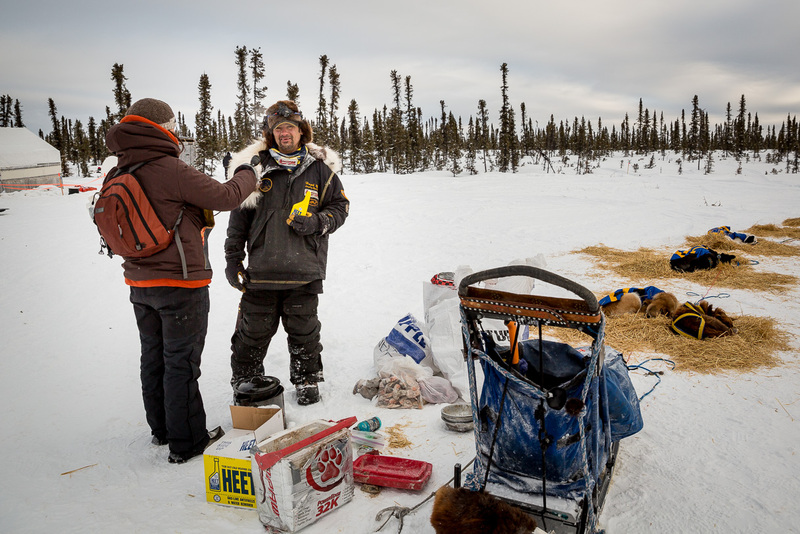 According to the leaderboard, Allen Moore left the Carmacks checkpoint last night just before midnight, putting him about five hours ahead of the second positioned musher. Matt Hall, last year’s Quest champ, departed Carmacks early this morning at 5:02 am PST. Paige Drobny maintains third position as she left Carmacks at 6:10 am this morning, just about thirty minutes ahead of fourth positioned Ed Hopkins. Rounding out the top five is 21-year-old Laura Neese who is running with the fewest dogs out of the Quest leaders thus far in the race. Neese checked out of Carmacks at 7:47 am PST with nine dogs in tow. Over the weekend three more mushers scratched from the race. Hugh Neff made good on his intent to scratch upon arriving into Dawson City. One of Neff’s dogs died during the race, and Quest Head Veterinarian Cristina Hansen has released a preliminary necropsy. Hansen believes Neff’s dog Bobby, died from aspiration, when the dog’s airway became blocked by foreign materials such as vomit. Quest staff say final necropsy results are expected to be released one month after the race finishes. Saturday morning in Dawson, Torsten Kohnert of Sweden left the race for the well-being of his team. Yesterday, Severin Cathry also scratched at the same checkpoint. According to a statement from Quest staff, Cathry made his decision based on his team not demonstrating the stamina and endurance needed to continue, which he attributed to poor training conditions earlier this season.